Recently I made the decision to temporarily move away from VMware VSAN. Whilst there was a lot of things about VSAN that I liked (close integration with the vSphere platform for example), my home lab exists to enable me to evaluate a number of different solutions. My lab consists of three hosts with no shared storage. At this point, my options consisted of purchasing some fibre HBAs, a switch and a SAN of some sort, or sticking with Software Defined Storage. But if not VSAN, then what? It consists of a number of components. The first is a block storage server (SDS) which sits on each host and serves storage to clients. The second is the client itself, which can also sit on the same server, although this is not a requirement. The third is a meta-data manager, which monitors the health of the system. It has self-healing and auto-balancing capabilities to ensure your data is well looked after. ScaleIO has the ability to make use of devices of different size and manufacturer, so mixing the 480GB and 960GB isn’t an issue. For the latter I will be using VLAN10, ScaleIO_data1 & ScaleIO_data2. Please note: if you only use distributed vSwitches, and there are no standard vSwitches defined on your hosts, then the plugin deployment script (shown next) will fail. This is because the template which we will deploy needs a standard vSwitch to attach to. To work around this, create a standard vSwitch without any uplinks or port groups on your hosts. Type 4 to exit the script. Click Finish. Finally, reboot each host. In the following example, I have created two storage pools, Gold and Silver. A ScaleIO Data Server (SDS) resides on each hosts that contributes storage. In this case, an SDS will exist on each ESXi host. A ScaleIO virtual machine will be deployed from each template to each ESXi host. 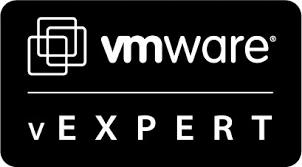 Each VM will run an SDS for serving storage and an MDM for managing storage. The SDC, which will consume the storage, is embedded directly into ESXi. Type a password in the box provided. This will be the admin password for each ScaleIO virtual machine once it has been deployed. One of the last remaining tasks is to create storage volumes inside our pools for our ESXi hosts. In the following example, I will create a 400GB volume in the gold storage pool, and a 1.6TB volume in the silver one. Using the vSphere Web Client, select EMC ScaleIO from the home page. Here you will see the volumes you created previously. Continue you through the wizard to name and format them as needed. Enter the IP of the primary MDM, a username of admin and the password you specified during installation, then click Connect. I’ve only played with ScaleIO for a short time, but its advantages are immediately recognisable. With support for heterogeneous platforms, and its ability to scale up to a thousand nodes it is certainly impressive. As it’s also block storage (albeit distributed), it opens up the possibility of using best-of-breed acceleration solutions such as PernixData’s FVP, which is not available to those looking to accelerate object-based storage such as VMware Virtual SAN. And lets not forget its potentially biggest advantage over its rivals… it’s free. Are there any drawbacks? Well maybe some, but none too big that spring to mind in such a short evaluation. It could be argued that for a three-node cluster, it takes a lot of components to get the solution up and running. An SDC, SDS, MDM… and that’s all per host. Plus a gateway. That’s a lot of components that need to be provisioned, that VSAN takes care of by itself. It’s worth adding that only one ScaleIO virtual machine is deployed to each host, running the necessary components. It also requires a Windows host running PowerCLI, which may be seen by some non-Windows shops as just another headache. Now that the storage tier has been provision, the next step is to accelerate it. In the next part of this series, I will install and configure PernixData’s FVP to do just that. I’m curious, why did you choose the Samsung PM863 over the SM863 for caching when the SM863 read/write specs are much better? I can’t wait to read your next article on PernixData as I don’t know too much about this yet. Hehe, gotta consider the WAF when purchasing gear I guess! The reason I asked about the drives was because the 120GB SM863 has a 460MB/s write speed but the 120GB PM863 has a 125MB/s write speed. Theres only an £8 difference in price on Scans website so is it a no brainer getting the 120GB SM863 over the PM863? And isn’t having the higher write speed better for a cache drive? So is it better to just go for the PM863 considering the small difference in price but you get a much higher write speed? Or is there a reason to consider the SM863? The problem is that at around the 120GB mark the PM863 read/write speed is really bad. So for my caching tier, I wanted better speeds, so even though I wouldn’t necessarily use it I got a 480GB PM863. I could of bought an SM863, but it was more costly. The only thing I’d advise against is the 120GB PM863. 125MB/sec write is naff. So is it better to just go for the SM863 considering the small difference in price but you get a much higher write speed? Or is there a reason to consider the PM863? Now that you have written about ScaleIO I am going to consider this an option too instead of just VSAN. I really like VSAN but the HCL and disk requirements are annoying for home use. It has made me realise that I need to get enterprise disks moving forward. So far SAS is out of the question as the pricing for SAS SSD drives are insane. Enterprise SATA SSD drives are quite reasonable I think. Does ScaleIO do dedupe? This is one feature I love in VSAN!! I ordered my first Samsung SM863 SSD drive today from Scan so it’ll be interesting to see what the results are after I test later this week!! Just done my first test with the Samsung SM863 SATA SSD 480GB drive connected to a SAS port on the LSI-2308. Holy wow Batman!! I setup the drive as its own datastore connected to the LSI-2308 and I migrated a 40GB to it in 98 seconds!! Or: about 418MB/s write speeds!! The write copy on the consumber SSD drives takes at least 20min. I also did a quick VSAN test. I deleted the above datastore and when I enabled VSAN I setup the new disk in the capacity tier (on its own) and used the Samsung 850 Pro PCIe NVMe SSD 256GB drive as the cache tier. Results weren’t great for such a fast (although consumer drive). I was getting write speeds of about 200MB/s. Connecting the Samsung SM863 to the Intel SATA (non SAS) port on the motherboard yields good results too!! Transferred a VM to the SM863 in 113s (40GB file) and then transferred the same file from the SM863 to the NVMe drive in 95 seconds. Speeds? Between 380MB/s and 420MB/s. I’m a happy bunny! So moral of the story: Don’t use consumer driver in an ESXi host! I feel like I have a new server! Fantastic! Glad to hear you’re finally getting some decent results. I have learnt so much doing all this. Mostly/ avoid consumer gear in a homelab (if you can help it). Funny thing is the enterprise SSDs aren’t THAT much more expensive than the consumer stuff. I’ve got my eyeball on the Intel P3700 for the cache tier…ouch. Look forward to your article on hdibench! Your help has been amazing, thanks so much! Sure! I’m trying to find out if the Intel P3700 fits in the Supermicro Mini Tower Intel Xeon D-1541? This server takes one low profile card but the Intel card is sold as a “HHHL” card so I’m not sure if it’ll fit? Even emailing Supermicro didn’t help! So far I have been really pleased with the testing I have done with the Samsung SM863 480GB SSD (I have a second one on order!). Its quick! I think I *may* have to skip using the P3700 for the cache tier as I want to use the one and only PCIe slot in the Supermicro server for a video card I can use with XenDesktop. I noticed on the VSAN HCL that the Samsung SM863 480GB SSD is only listed as supported if used in the capacity tier of an all flash VSAN. I looked at the Intel DC S3700 for the cache tier but the write speeds aren’t great (365MB/s) and its super expensive. Do you think using a Samsung SM863 480GB SSD in the cache tier would work ok? It has a write speed of 485MB/s and I was thinking I could over provision it to 200GB (my capacity tier won’t be more than 2TB…ever). Also, the endurance of the SM863 drive is 3080 TBW so it won’t wear out anytime soon (the Intel is rated at 3650 TBW). Yes I think that’d work very well. I use a PM863 480GB in my hosts and they perform nicely. Thanks Mark! Hows the ScaleIO setup going compared to VSAN? So I was thinking today (after reading some more VSAN documentation). You can have two disk groups in one server where each disk group has its own cache drive…yes? This must do wonders for your write speeds on that node? I was thinking, rather have two disk groups using SM863 drives for cache/capacity rather than a single disk group with SM863 drives in capacity and the Intel P3700 for cache tier? What do you think? VSAN appears so simple but the options are endless! Then I remember reading somewhere about poor performance in VSAN if you had checksumming enabled (which is the default). So I disabled the checksum option and the write speeds went from 158MB/s to 317MB/s! Not too shabby but still not quite the 485MB/s that the drive is capable of. I have connected the drives to the onboard Intel SATA ports so maybe this is partly to blame. Next test…using the onboard LSI-2308 controller with the SM863 drives! I didn’t think having checksum enabled would reduce write performance that much? I’ve read that even with a P3700 you may only get about 250MB/s with it turned on…ouch. I’ve thrown in the towel with VSAN (for now). I just don’t have enough kit/memory/etc to use VSAN yet. Enabling VSAN on a 32GB of memory server didn’t work well and I’m still finding the performance disappointing. After disabling VSAN I setup my new SM863 drives as two datastores and have also started using my PCIe SSD as its own datastore and the performance I am getting now is really good. Copies between VMs are between 200-300MB/s. Interestingly when doing a storage vMotion I am getting about 450MB/s speeds which is amazing but I’m not sure why VM to VM copies are much slower? I am using the VMXNET3 vNIC. Sure has taught me loads about storage in ESXi thought!